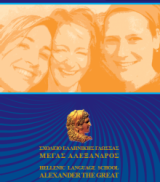 Greek Language lessons in Athens, Thessaloniki and Chania – Learn Modern and Ancient Greek in Greece! » Presents from our students! 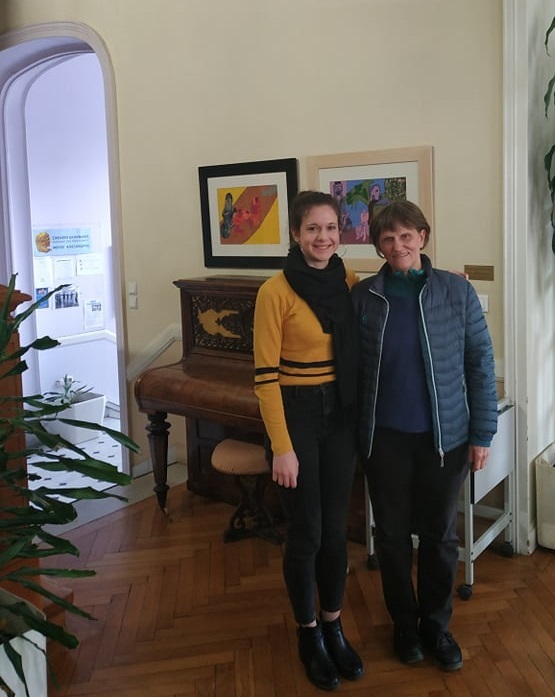 Our students Helena and Susanne had their last lesson at our school in Athens last Friday. 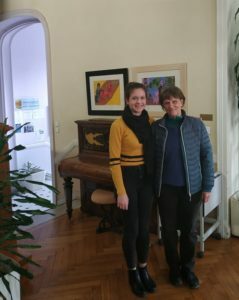 Helena, who stayed at our school for three weeks and had Greek language lessons of level A1, is a famous American writer and has written many books about Ancient Greece. 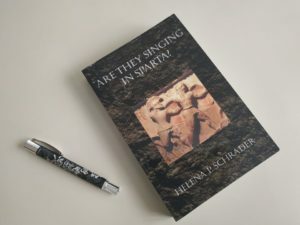 Upon her departure she gave a signed copy of her book -titled “Are they singing in Sparta?”-as a gift to her teacher, Mrs Kokkori. Susanne stayed in our school for one week. During this short period, however, she managed to significantly ameliorate her Greek, which was of a high level already (B2). Susanne is a teacher of religion and, upon her departure, she gave an elegant pen as a gift to the communication officer of our school. We are very happy for the fact that our students express their satisfaction from their experience at our school by offering us presents, and we commit to always provide them with high level services!